Be one of the merchant partners in the Postal ID Privilege Program! Call us at (+632) 426-0182 loc. 112 or contact us by filling out the boxes on the right side of this page. You can also send us a private message via the Postal ID Facebook page. 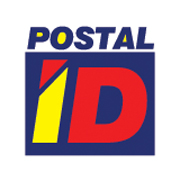 Our Account Executive will get in touch with you soonest to discuss the Postal ID Privilege Program details.